Kamal-Deen Yakub is a social entrepreneur with 11 years of Accounting and Marketing experience. 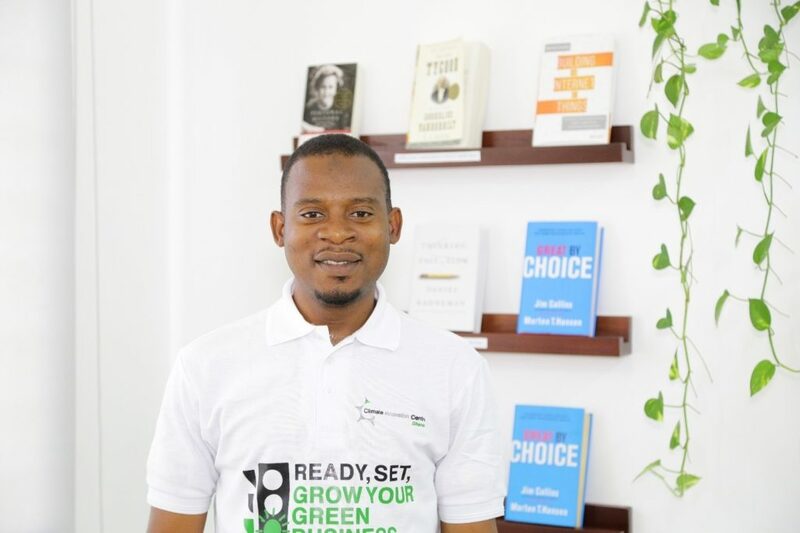 He is the Founder of Farmable, a crowd-funding platform for cattle farmers in Ghana. He is also a founder of TROTRO Tractor Limited, a tractor sharing company that leverages on the mobile money and feature phones to provide agricultural machinery to rural farmers. Kamal’s interest is in the implementation of ICT tools and the Internet of Things (IoT) to solve peculiar problems in agriculture and governance. Farmable is a social enterprise, crowd-farming cows on farms in Ghana. Farmable’s vision is to create a self-sustaining enterprise that empowers smallholder farmers in Ghana to fight hunger without reliance on external aid or charity. Farmable supports farmers in emerging markets through crowd-farming to equip them with the tools and resources necessary to fight hunger and build a sustainable food supply system. © Ghana Climate Innovation Center. All Rights Reserved.